Martine Algier was a dancer and choreographer during the founding of the AWS. Her partner at the time was poet Robin Eichlaey and they attended the Berkley Poetry Conference together with four others representing the AWS. 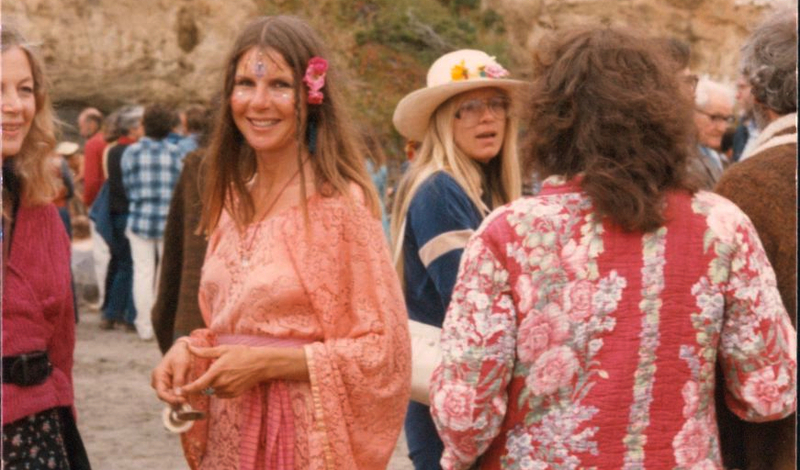 Martine stayed in San Francisco, making it her permanent home, where she met her first husband, the visionary painter Michael Bowen (1937-2009), who together with others, helped organize the first Human Be-In (January 14, 1967) at their apartment in Haight-Ashbury. Bowen was also co-founder of the San Francisco Oracle and helped along with Martine, in the planning of the protest of the Pentagon Exorcism/Levitation. Martine had two children with Bowen and is currently a painter, psychic and certified trainer for the Center for Non Violent Communication.